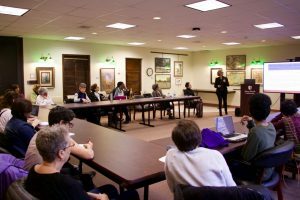 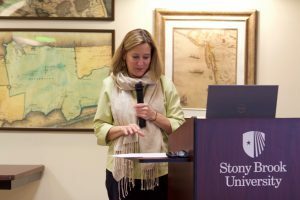 On March 1st, four Stony Brook University faculty members participated in a panel held at the Libraries in honor of Women’s History Month. 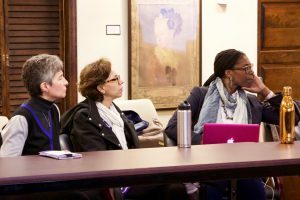 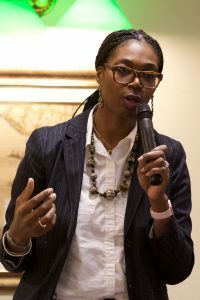 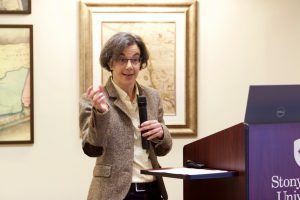 The four scholars– Peg Christoff (Asian American Studies), Lisa Diedrich (Women’s, Gender & Sexuality Studies), Victoria Hesford (Women’s, Gender & Sexuality Studies), and Tracey Walters (Africana Studies)– underscored the intersections between gender and other influential aspects of the human experience. 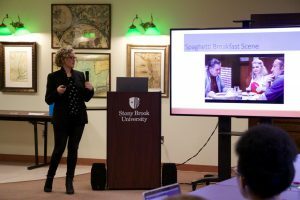 Their interrogation of gender studies as an analytical methodology, as well as their exploration of key concepts in women’s studies, fostered rich and thought-provoking discussion.